Mr. Rajiv VastupalChairman & Managing Directorof Rajiv Petrochemicals Pvt. Ltd. Birth Place: Born in Mumbai in October 1957. B. Com, LLB & ICWA (Intermediate) and has a diploma in Marketing. 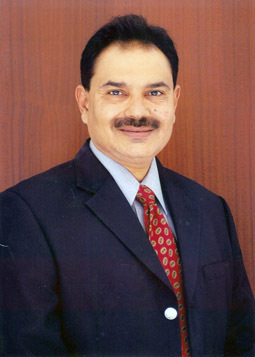 Mr. Rajiv Vastupal is a Chairman & Managing Director of Rajiv Petrochemicals Pvt. Ltd, a flagship company of Team Rajiv. Mr. Rajiv formed the group in 1979. We currently stand at a 1000 crore turnover. He served Ahmedabad Management Association (AMA) as President from 2005 to 2007 and contributed Rs. 50 lakh for building state of the art J. B. Auditorium as a farewell gesture and as well as started Rajiv Vastupal Achievers Academy. He is the founder of Gujarat Chapter, YPO and also board member of WPO Mumbai and WPO South Asia. He also served as member of the Board of Governors at IIM, Bangalore. He is currently serving as a member of Board of Governors at IIM, Udaipur.